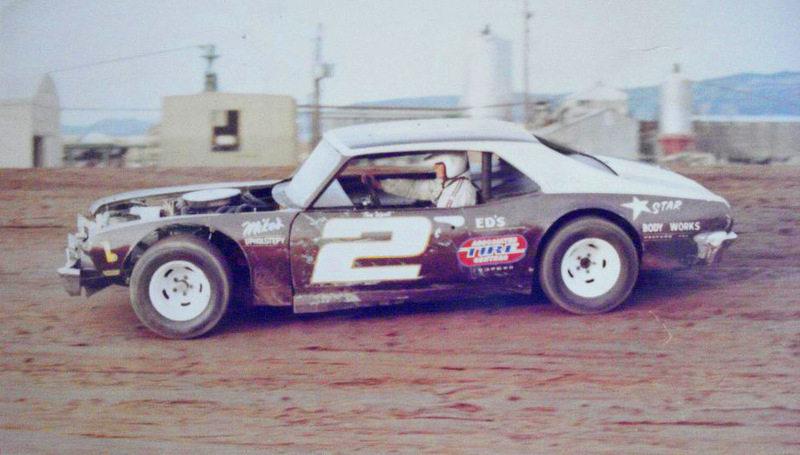 One of Oregon’s top drivers, Tom had an interesting racing career worth looking back on that included championships at different tracks, a big win over a NASCAR legend, and disputes with a promoter that eventually lead to the end of his desire to keep racing. With a tone that is humble and down to earth, Tom definitely comes across as a thoughtful man of principle, picking his words wisely while also honestly calling it as he sees it. 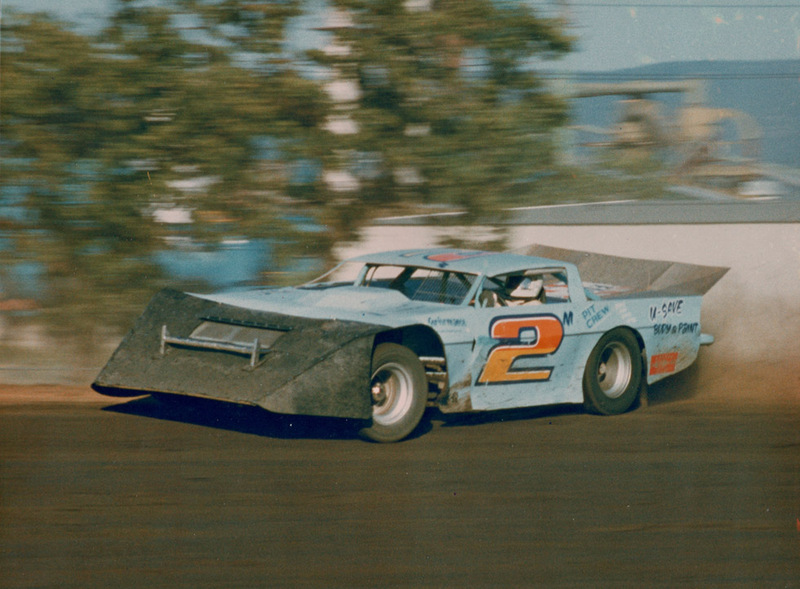 He was one of several top Oregon drivers to travel down to Redwood Acres during the golden dirt era to test our local hot shoes, enriching our driver fields while creating new rivalries in exciting races in the process. There’s an image: racing cars on dirt left by a volcano. “Well, several thousand years later”, he says smiling. Tom did well at tracks all over Oregon and northern California after the service. 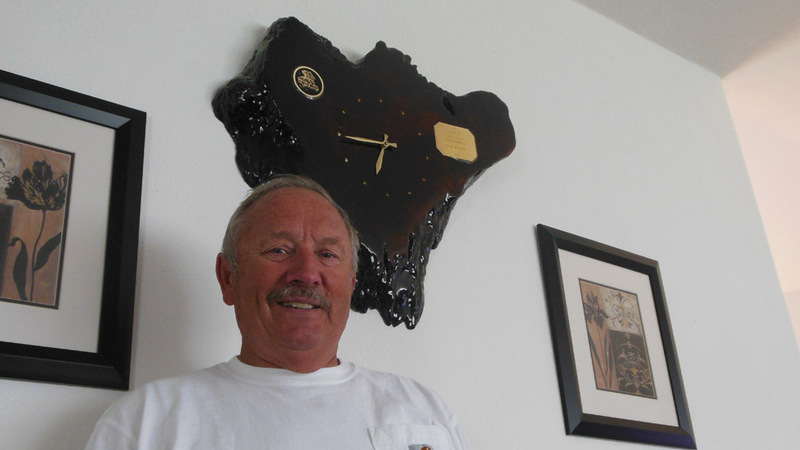 He was Medford track champion in 1970 and at one time held the track record for fast time at both Medford and Cottage Grove. Tom and the ’57 Chevy later sold to Clyde Carlisle down at Redwood Acres. 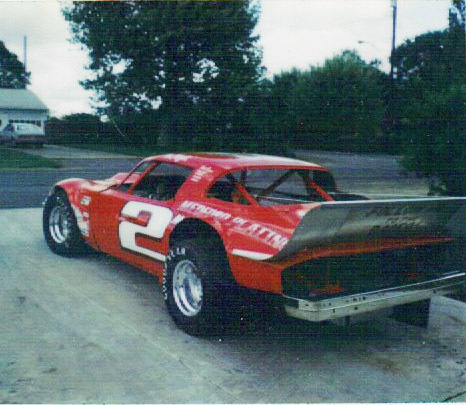 Dennis Huth promoted the races at the old Medford Raceway at the Posse Grounds in the 70s and 80s. 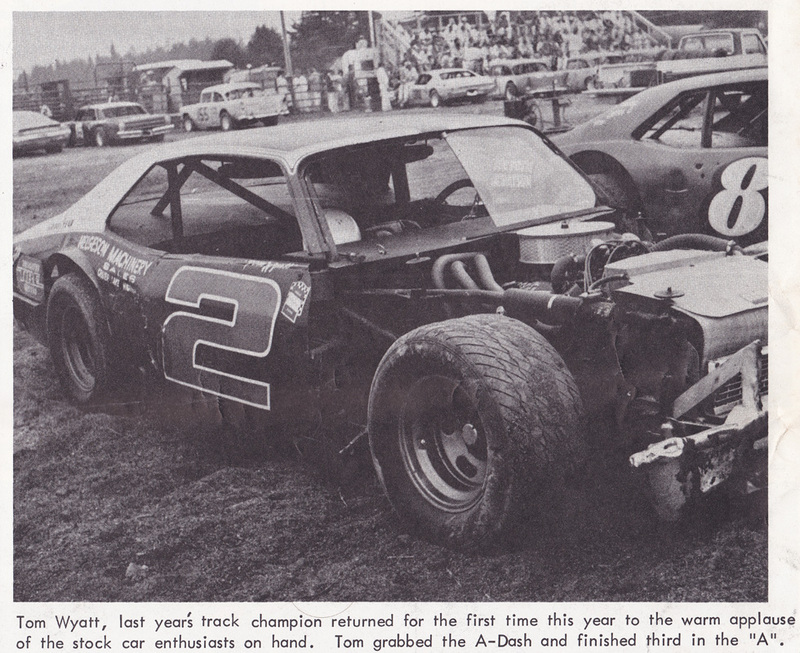 “I was at odds with the local promoter here, so decided it was a lot more fun to race some place else” This lead Tom to spend more time at tracks around Oregon, including Redwood Acres Raceway down in Eureka, where he was track champion in 1976. Tom would eventually gravitate back to the tracks closer to home. 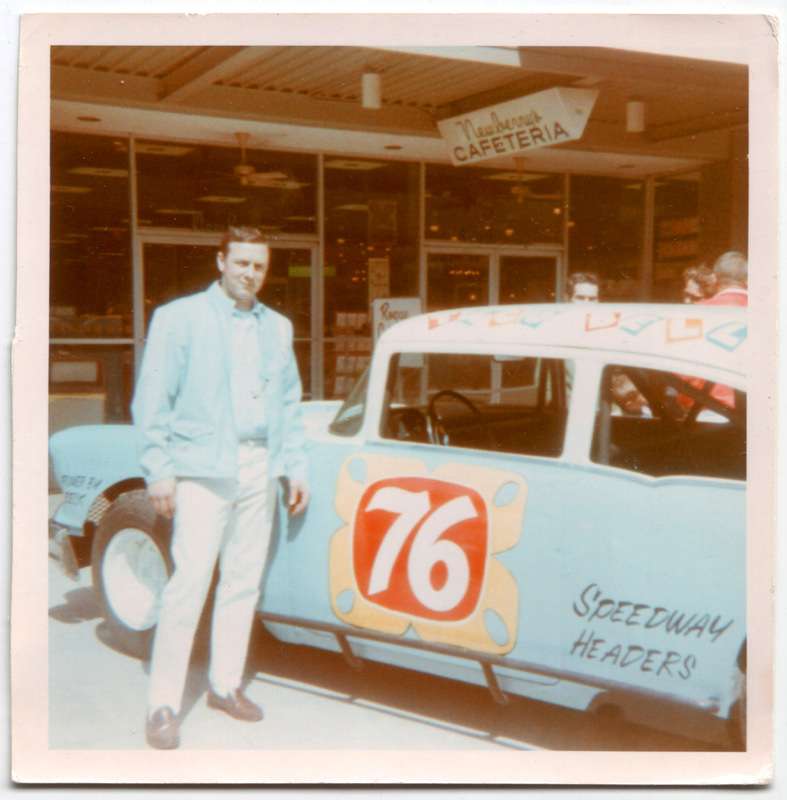 Out of the grass roots project by Winston, NASCAR sanctioned both tracks at Medford and Coos Bay. 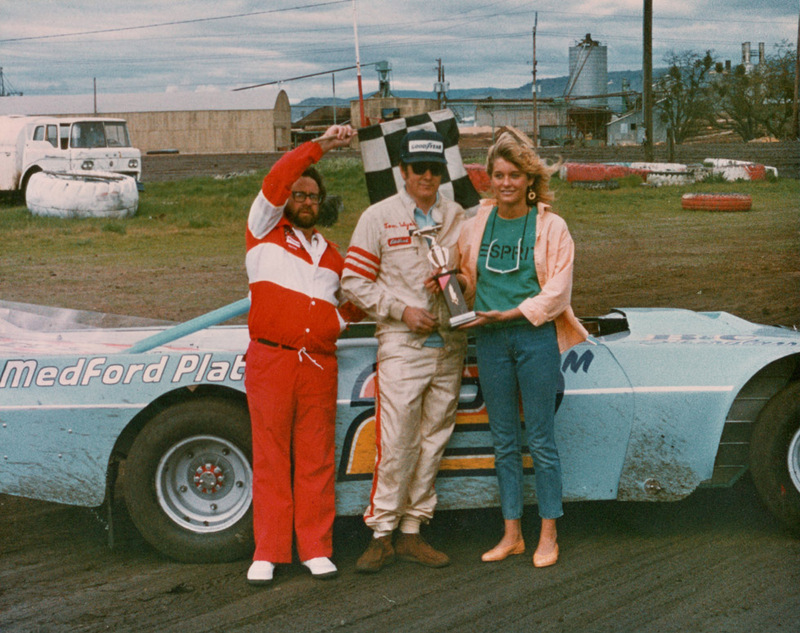 “I would compile points at Medford, and was usually in top 6 or 8 at Coos Bay.” He accumulated enough points between the two tracks to be Oregon NASCAR Late Model Champion in 1978. 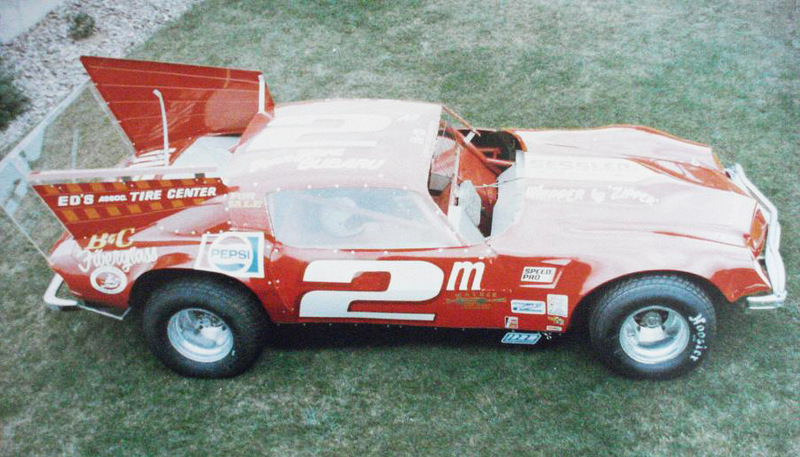 Eventually Dennis Huth would move on, and due to his relationship forged with Nascar, would be instrumental in the Nascar Trucks series, before working with the ASA. 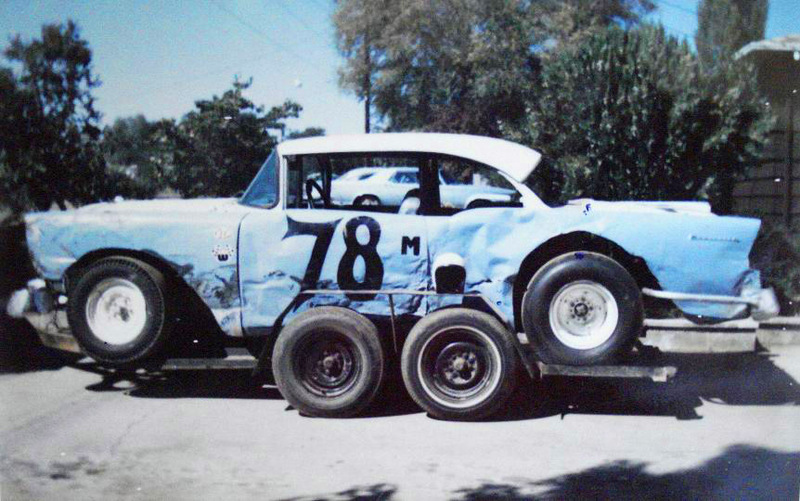 Tom took his Texas-built two-door ’57 Chevy down to Eureka to race at Redwood Acres for the first time in the late 1960s, and it certainly was a strange day at the track. In 1976, disillusioned with the goings on at his local Medford track, Wyatt joined the Six Rivers Racing Association and came down to Eureka to race Redwood Acres often enough to be in the running for the championship. The local race program Stock Report would note how much they appreciated his effort in making the weekly 200 mile tow to the track. But there was a method to the madness of making the frequent treks south. 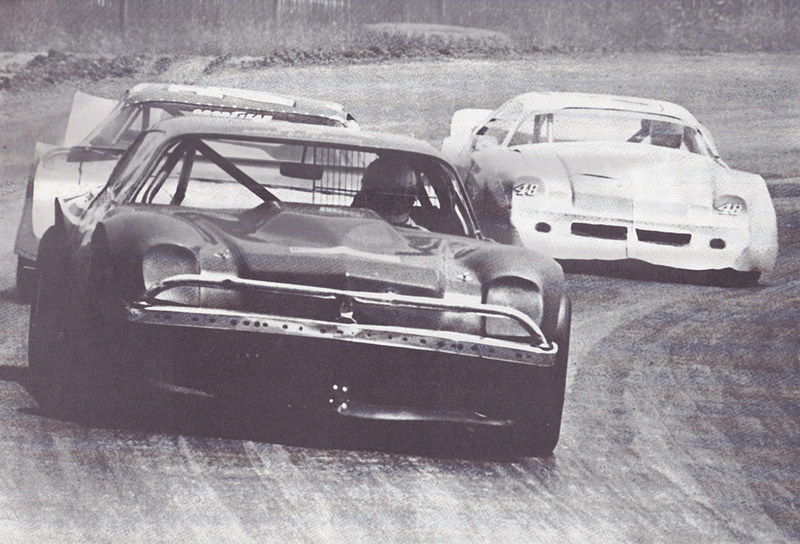 One of the most memorable moments at the track, and one which received heavy coverage in the race program the next week and in the Tom Dilling book Dirt Trackin’ At The Acres, occurred after a May 1976 A-Main. At the start of the 35-lap race, Wyatt was on the pole with local driver Don Price starting 10th and Larry Pries of nearby Ferndale 11th. All three had won races earlier in the day. Wyatt got off to a big lead over the pack for the first 22 laps. Then Price and Pries moved through traffic to narrow the margin. On lap 33 Wyatt went high to avoid a turn four wreck, Price went low, and Pries had to stop to avoid a collision. The result at the finish line was 1. Price 2. Wyatt 3. Pries. It was the first ever A-Main win for Don Price. Over the years we’ve seen many second place finishers come charging up to the finish line, ready to take a poke at the winner, or at least chew on the flagman and lodge a protest. However, that wasn’t the case with Wyatt. He came out of the #2 car grinning, with his hand outstretched, in a gesture of true sportsmanship. I was present when Wyatt came to Don’s car and I just assumed he was going to punch Don in the nose and I wanted to have a good seat; but he didn’t. He just shook his hand and sincerely congratulated him for a fine race. The Fair Nights program told the story of the previous week’s battle between Wyatt and Walker. Tom (left) and his mechanic Ron “Zipper” Smith are shown working on the car in the infield pits. 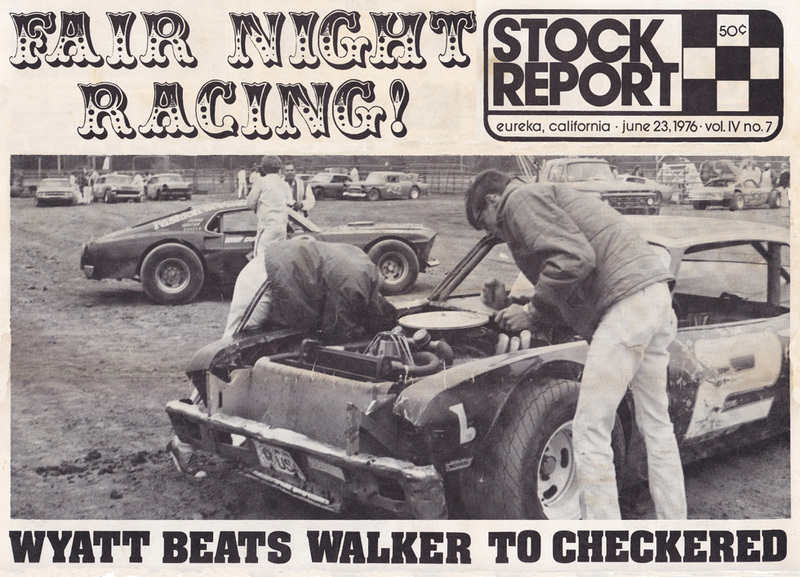 At the June 1976 Saturday night race under the lights the week before Fair Nights, Tom out-dueled Ferndale’s Jim Walker in what was described as one of the best A-Main races at the track ever. 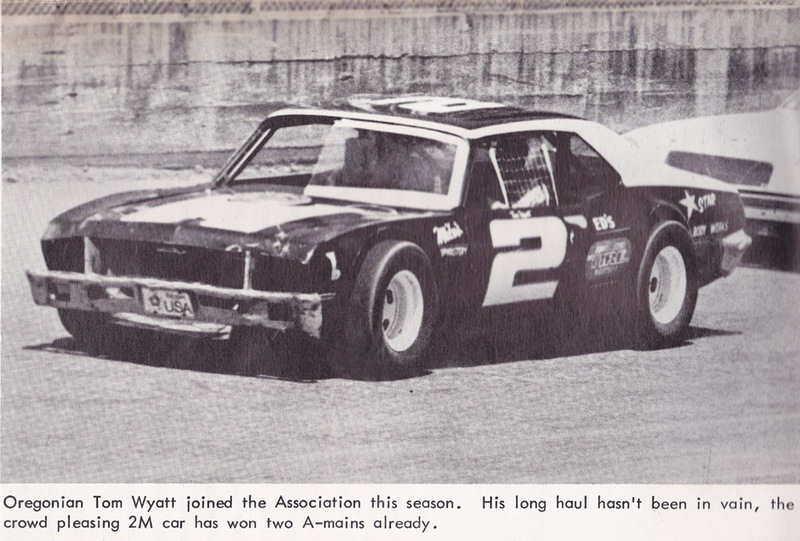 Wyatt started last in 14th; was up to 4th by lap seven, 3rd on lap twelve, 2nd on lap fourteen, then took the lead over Gordon Kuhnle on lap seventeen. 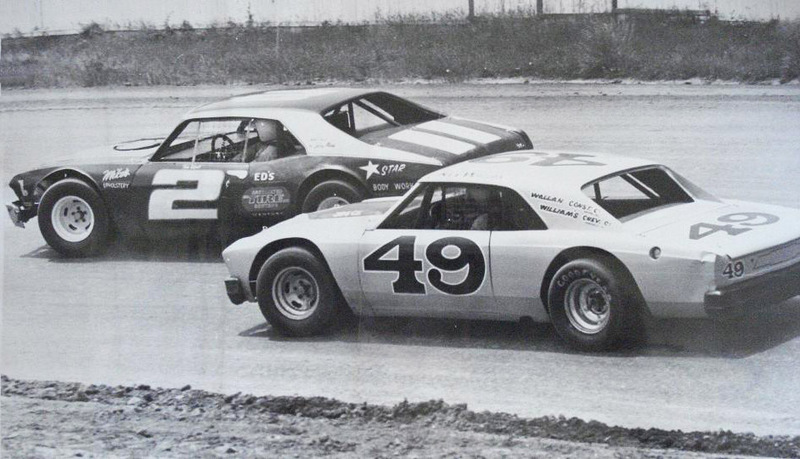 Walker meanwhile had started in 12th, up to 4th by the tenth lap, then tangled with points leader Don Price on lap fourteen and both were sent to the back of the pack. But Walker was all the way up to 2nd on Wyatt’s bumper by lap twenty six. The final eight laps were a race between the two with Wyatt winning, Walker 2nd and Ken Wallan 3rd. 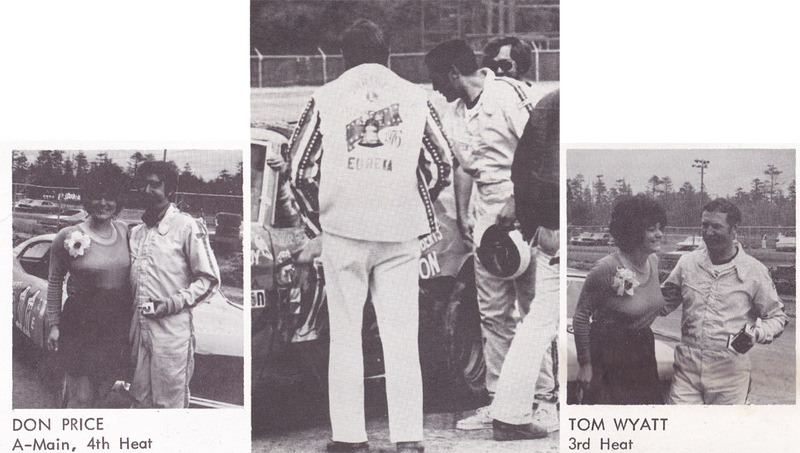 Tom Wyatt would finish the 1976 season on top of the points in the Super Stock division as Redwood Acres Track Champion, followed by his friendly local rivals Don Price and Ken Wallan, in 2nd and 3rd respectively. Trophies were actual burl slabs, all cut from the same tree, with the champion getting the biggest slab and each place down getting respectively smaller. Not all races end in victory lane of course, or even right side up. Tom found that out at Redwood Acres during a trophy dash, driving his red Camaro. On another occasion, some mechanical detective work lead to a brash move in the pits, further pushing the limits of what you could accomplish in the Redwood Acres infield pit area. 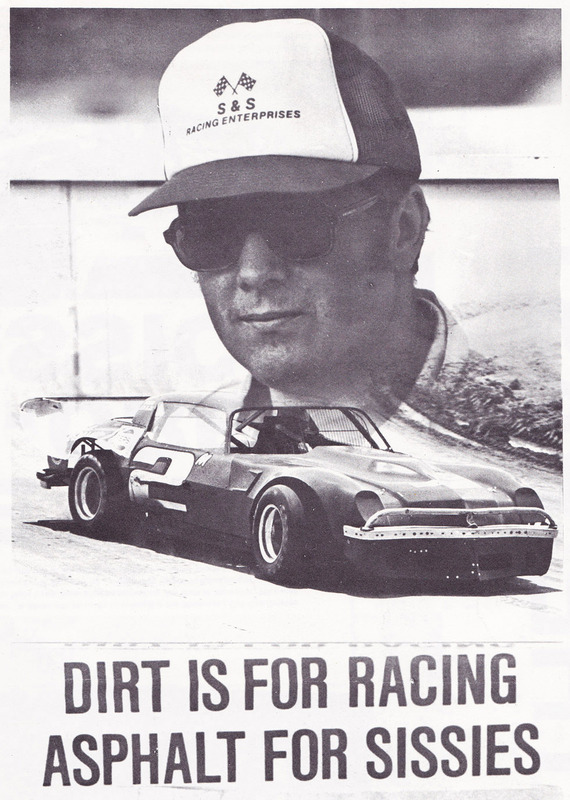 In 1981, Tom came to Redwood Acres with a bumper sticker that proclaimed ‘DIRT IS FOR RACING – ASPHALT FOR SISSIES’. “We had another bumper sticker on the red Camaro placed where it wouldn’t be rubbed off that said: ‘THAT’S HOWE’. 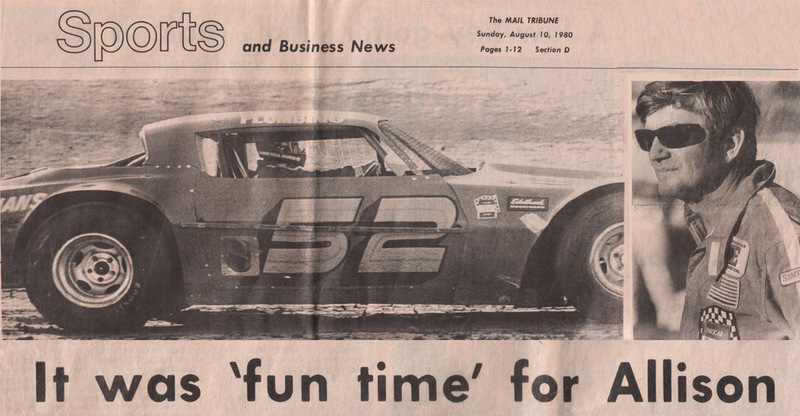 This was a reference to Howe race cars – Dane Smith, Ron Martin had them – just to show them it didn’t take a Howe car to do it.” Tom’s aim was to keep all other drivers behind him so they would have a good view of that sticker. 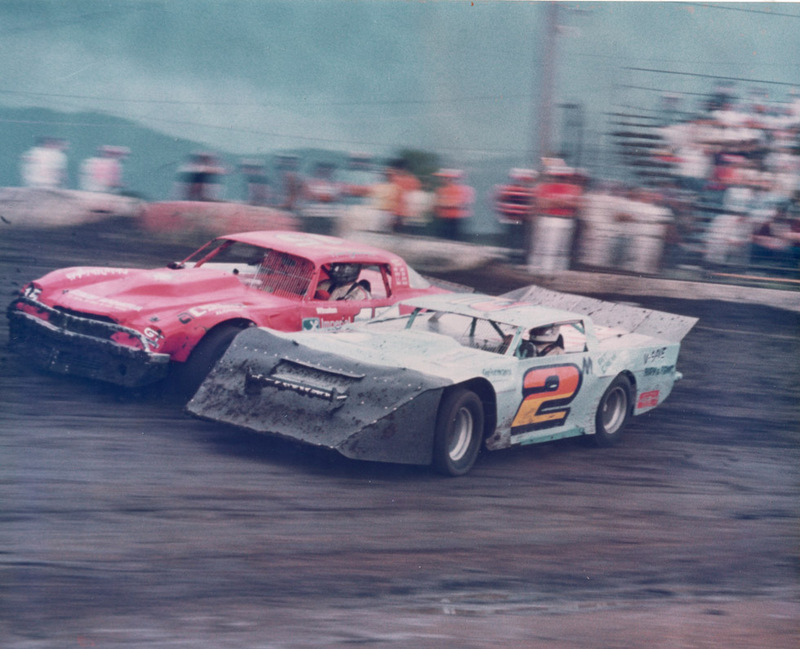 The 1981 North Coast Dirt Track Classic at Redwood Acres would become a weekend-long shootout between two popular drivers, Tom Wyatt from Medford and local favorite Jimmy Walker from Ferndale. Two full days of racing with points accumulated throughout the weekend would determine the winner at the end, and it came down to the wire. On Saturday Wyatt won the Dash, Fast Heat, and the Main Event. After Day One he lead the points 93-91 over Walker. On Sunday Wyatt won the Dash, was 5th in the Heat, and at the midday break was tied with Walker 133-133. In the Main, Tom swapped the lead with Walker who edged him out to win the race, and by the narrowest of margins, won the overall weekend 173-172. 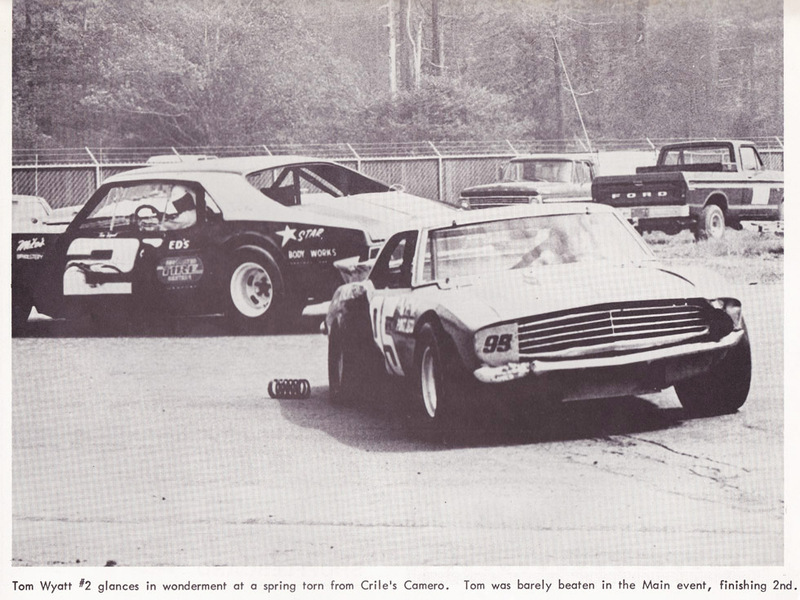 Popular fellow Medford driver Dane Smith describes he and Tom as “heated rivals” who ironically lived a couple of houses away from each other at the time they were competing. 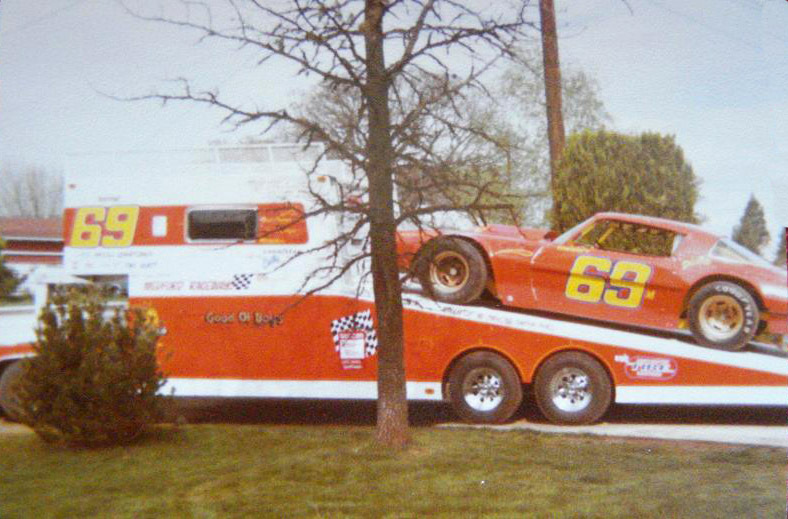 Both raced up and down the I-5, at Medford, Anderson, Cottage Grove, Eugene, Roseburg, Lebanon, and elsewhere. Dane now notes that besides being a “Helluva talent” as a driver, Tom “built his own cars, great cars”. 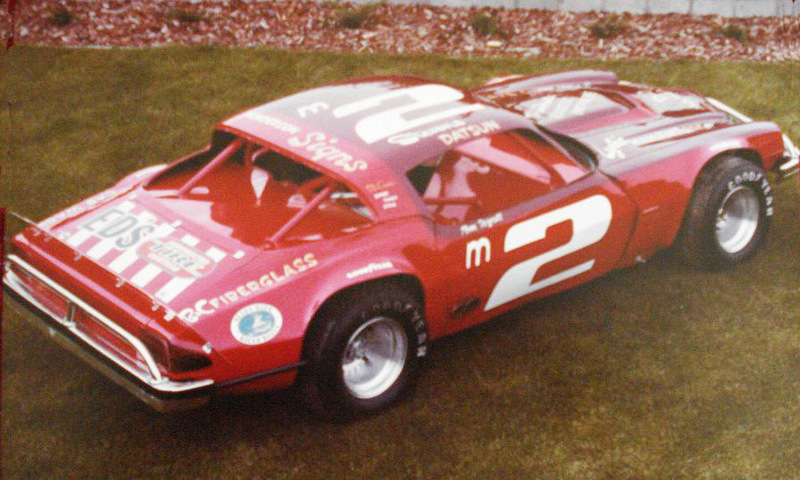 By August 9th, 1980, the Phil Durnford owned car was being driven by Mark Beasley and was borrowed by Bobby Allison for a race at the dirt track in Medford. In the main event Allison moved up through the pack quickly and had taken the lead on lap 16. Tom had gone wide on lap 2 and found himself at the back of the pack, but made it all the way to 3rd, trailing Rollie Elsea in 2nd and Allison in 1st, on lap 22 of 35. “Allison was leading the race, and there weren’t many laps left, I was running in 3rd at the time, I figured I’d best get with it here or I’m going to run out of laps. I got a good restart; I have a habit of watching the flag man and the moment he starts to raise his arm I’m gone. So I jumped one car on the restart and they squawked about that; but it was legal.” This put him into second behind Allison. 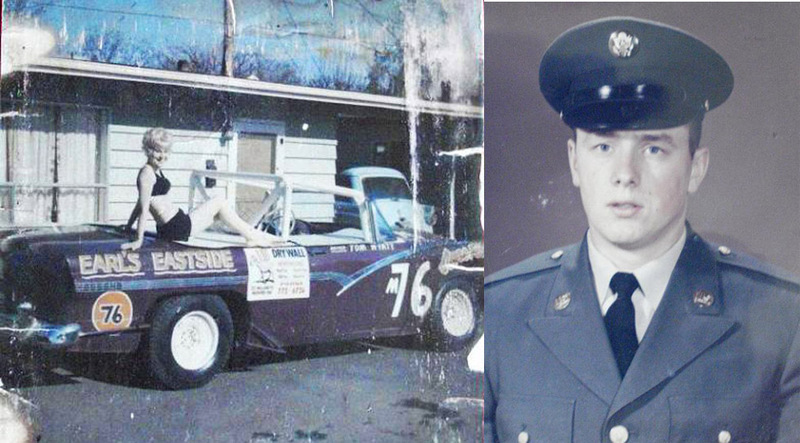 Known as an excellent race car builder, Tom is quick to point out he did not work on the cars alone, that his partner in the garage was Ron Smith. With racing, especially on dirt, the innovations are not always just under the hood. 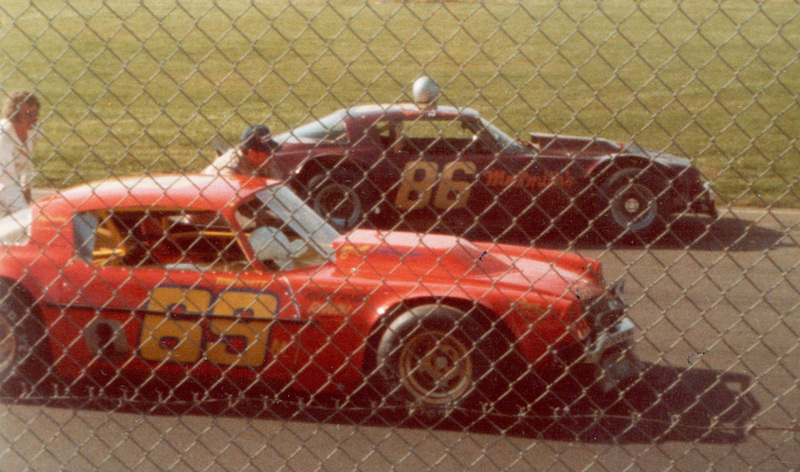 Something Old, Something New; Tom in his blue outlaw style body Camaro racing against his old red Camaro, which had been sold to Medford Plating and driven by Tom Glover, “an up and coming talent at the time”, Tom says. “Another trick” Tom says “was these guys were spending a lot of money for these little bitty lightweight clutches, six to eight hundred bucks. So I got a yoke that was splined, that went on an inboard boat, and took a clutch disc, took the center section apart, and took that hub, that the splines go into, and mated that to the end of the crankshaft, and used a flex plate for an automatic transmission and bolted that on there. And I always used a high-torque starter. So that you put the car in gear, start, and it was gone. Because it had no clutch. It was real responsive” Tom says, smiling. “The promoter from Cottage Grove asked what was going on down there, and I said ‘You can tape this if you want so you won’t miss none of it, and give it back to Dennis, but he’s well aware of what’s going on and I’ve just had enough. I’ve spent too much time doing this to be negative all the time about it. The best thing to do was get the hell away from it.’ And that was the end of it. 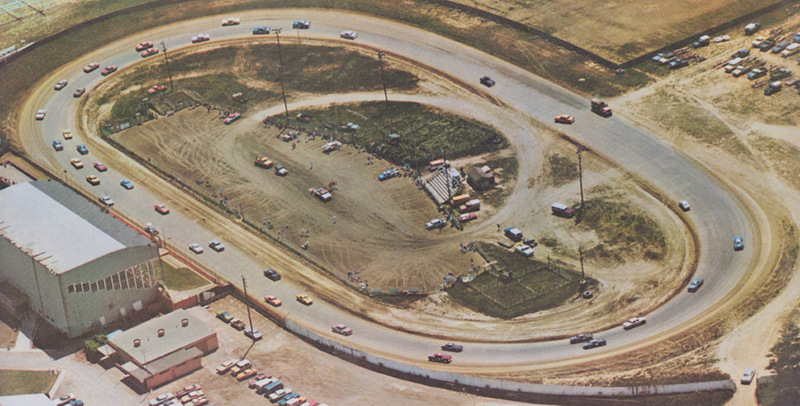 It was right at 20 years I had spent racing.” Midway through the 1989 season, the Medford Raceway at the Posse Grounds closed down for good. Back when Tom was in the service in Missouri he was in basic training in Ft. Lewis, and took training to be a crane shovel operator in Ft. Leatherwood. 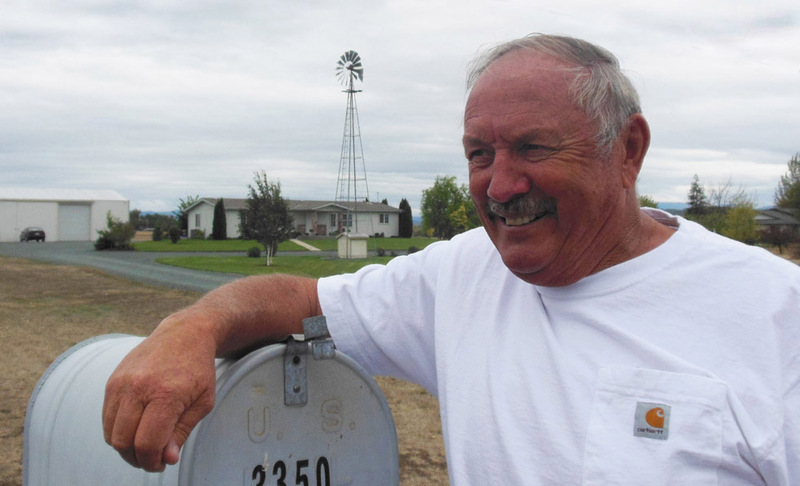 “Every hole in the wall back there had a race track; Gold Hill, Rogue River, Central Plains.” Tom still lives in the Medford area in White City, and though retired works the crane now and then. At this time he is putting that license to good work, as an independent operator setting concrete for a bridge for Pacific Power & Light. “It keeps me in beer money”, he says. As Tom reflects on his racing career; he noted he had a lot of spirited battles, both on and off the track. “It was a lot of fun. Looking back on it…. I’d probably do it again”, he says, laughing with his family. “When I think of the money spent, it probably could have been better used”, he says with a smile. 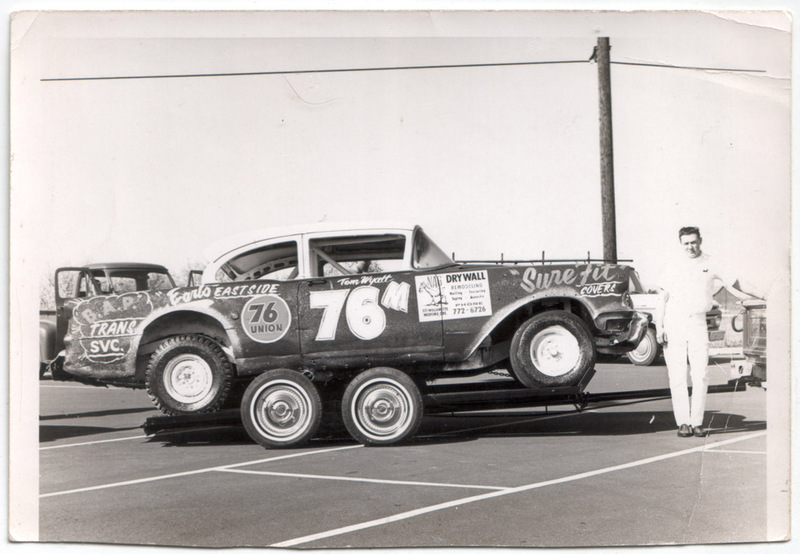 Thanks to Tom Wyatt for being so open to talking about his racing history, and for making the long tow down to Redwood Acres all those years; and to his two sons for supplying all the great photos. Thanks also to Tom’s son Steve Wyatt for joining in and adding his own perspective and passion to the conversation. It made for a great visit with the family.